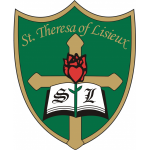 The school uniform is supported by our parent community and it is fully supported by the staff of St. Theresa of Lisieux Catholic High School. Students who enroll at St. Theresa of Lisieux Catholic High School do so with a full awareness of the uniform requirements. Students must comply with the school uniform policy. Therefore, when a student chooses St. Theresa of Lisieux Catholic High School, he or she agrees to abide by the established dress code. Both staff and parents regard the school uniform as a means of creating a distinct school identity. Students who do not respect the dress code are in effect undermining this goal. Only uniform items purchased from DGN Kilters are allowed. Students with uniform items that do not comply with this standard will be disciplined. Black, DGN Kilters dress pants with STL logo to be worn properly–at the waist with pant legs not tucked into socks and the look must not be altered in any way. White, DGN Kilters long or short sleeve STL monogrammed golf shirt. No t-shirts will be worn under the uniform golf shirts. Golf shirts are not to be tied or cinched in any way. Forest green DGN Kilters sweatshirt with STL monogram. No other sweatshirts are permitted in place of the school sweatshirt. The STL golf shirt must be worn and be visible if wearing the school sweatshirt. Hijab’s are to be white, black or forest green in accordance with the accepted school uniform colours. Solid black dress shoes -no boots, sandals or open weave shoes, no open back or open toe shoes and no moccasin-style shoes. No shoe adornments like coloured shoe laces, stand-out logos, fringes, beads or fur. We recommend that black or white socks be worn. No scarves, headbands, hats, kerchiefs, or other superfluous decorations. ‘Extravagant’ hairstyles are not in keeping with the school’s philosophy.